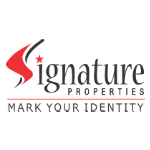 Ssignature Properties is the next generation leader in bringing Bengaluru's discerning audiences a wide spectrum of premium living experiences unmatched in quality, style and value. You trust us with your hard-earned money. We, on our part, are constantly working towards fetching you great returns on your investment. We inch towards perfection every given day. Our one & only Mission is Ultimately ensuring our Customers to their topmost Satisfaction.